If you're having issues launching Elsword, can you please respond here with any error message you're receiving? Attaching a screenshot also will help us immensely. Same here, Can't install game even though is downloaded says "region blocked"
yet when you're kind, she's an angel in disguise"
I have the game listed in my games list but I keep getting the "Blocked in your region" message when i know it isn't true. The game was released for the EU BEFORE it came to Arc and I have checked and there are people from the UK playing on the original game, not the one ARC has. So is it a bug? or are you using an old version? Or is something else up? I know this is a little off topic, but how do I get to choose the dark knight path? I did the Free Knight quests but I can only chose from sabre and pyro knight. Is it something that hasn't been released in North America yet? Or do I have to unlock it somehow? Hello. My problem with Elsword is that I can't launch it. It says 'not responding' whenever I click on it, and when I don't it stays gray, with the cursor occasionally changing. I heard from a friend that this is a really good game, and I would like to try it. I heard that some other people are having this problem too, and I might try uninstalling it and downloading it from the site, if possible. 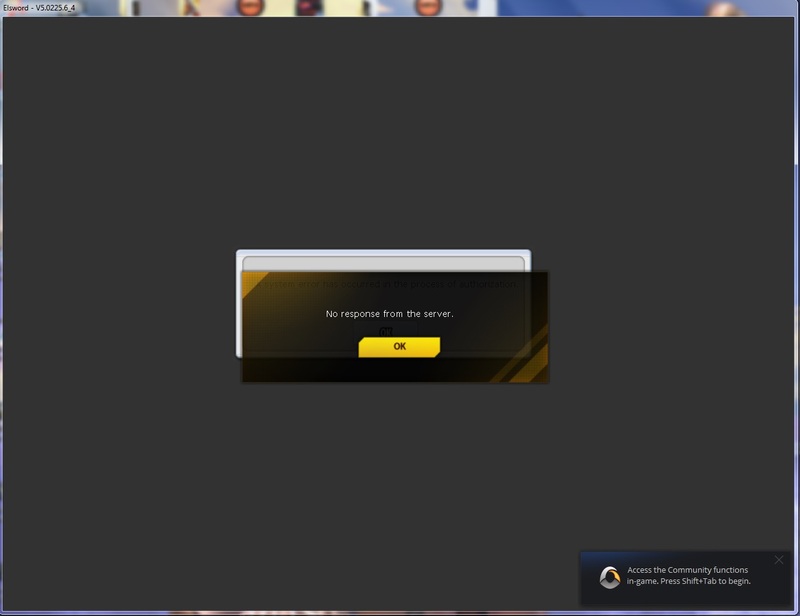 Well ive wanted to try this game and i downloaded it about 2 days ago but the game never launches, it goes grey and becomes unresponsive, i left it for over an hour thinking maybe it was just being slow, but nope just wont work, id like to give this game a shot so why dont ya fix the problem? Just got Elswood yesterday and tried running it today. x2.exe stops responding every time the game window pops up. I am very disappointed in the fact that I am not able to play Elsword. My computer meets the requirements and goes farther in most fields needed, and still it seems that I am experiencing this problem, and so is a few other players, it seems. I am running Arc and Elsword as administrator. I had reinstalled Elsword, and I have currently uninstalled it, out of frustration. At one point I was able to open up the game, and instead of checking the version and opening a window that stayed gray and unresponding, it had started updating. I left it overnight to update, and when I woke up and checked on it, it was in the same state as before. It's driving me insane. A friend speaks highly of the game, and I am eager to try it, yet I am not able to. On a final note, I would just like to state that from what I've read, the problem emerged when Elsword got onto the Arc client. I don't know if it is true, since I am a new member to Arc myself, but I just wanted to throw it out there. I would really appreciate if anyone would help me with this problem, since I really do want to play and have a good time, and I don't want to have a bad experience with Arc. Thanks for submitting your issues! We're working on these issues as I type this. We're glad to how much interest has been shown in Elsword! but the next day, the start of the game began with "This game is not available in your region"
what suddenly happened that I had for the day came in the unsupported region? Ok I just tried to install the game again and it actually did it this time. However after it finished installing I would boot it up and it would show the launcher then a loading screen, then start to go into the game and then close straight away. So i closed Arc and tried to start it up and it has gone back to the "Not available in your region" message. WTF IS GOING ON?! Client fails to start. I wonder why xtrap will appear when I hit the play button in arc window. this seems odd since i haven't seen xtrap in other arc games (i.e. Swordsman, Perfect World, and Neverwinter). Tried restarting my pc and running Elseword as Admin but still no luck. After xtrap appears, it will just give me a gray window and then the window will disappear in a few seconds. 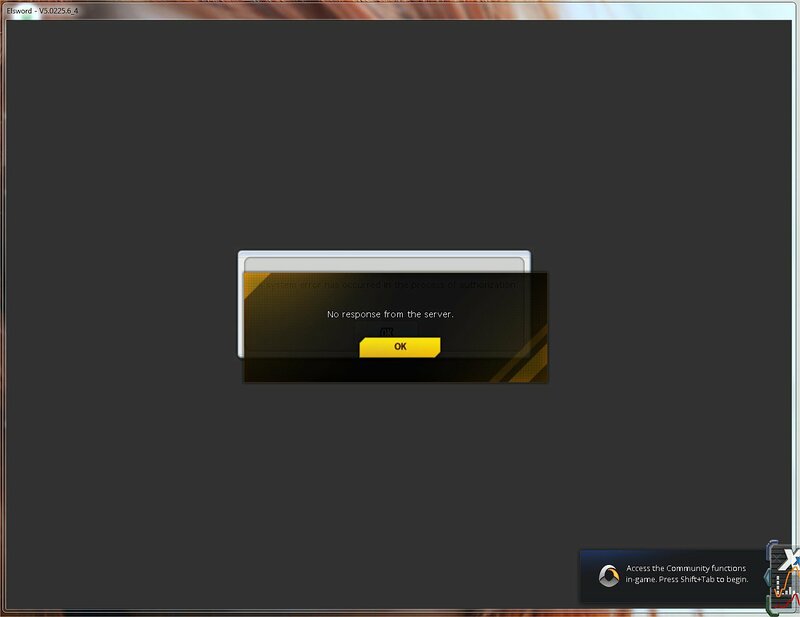 I am also getting the "This game is not available in your region" comment appearing when I try to install the game, I am curious to see what this game offers, hope you guys can fix the issue, its rather disappointing to see this happen on first day of being on the Arc launcher, especially to a already well known game. Ah that explains it, thank you for the response, a shame though, wanted to have easier access to the game using Arc. cant play , any solution for this ? Does anyone here successfully played this game already? Any solution to this issue? Mine are ok with x2.exe, just keep on staying at the only place, which is full gray screen and nothing else that makes me wanna force quit again again and again !